Work With Me - The OSIP Foundation, Inc.
Are your teams looking for a new edge in competition? Then your players and coaches are going to want to check this out! 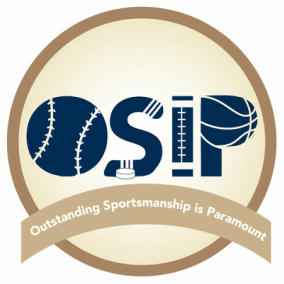 Work With Me is the new program being offered by The OSIP Foundation to sports leagues! What is Work With Me? Work With Me is a set of clinics offered for coaches and players alike that offer inside information on the ins and outs of officials and their job. The goal is to provide hints on what officials look for when they work a game, and that information could give your teams the advantage they need to succeed. Myths about rules will be debunked! Players will learn how to sell plays to officials! Coaches will learn how to talk to officials! And good sportsmanship will be promoted by all! Clinics are a hands-on hour of discussion and explanation that are reasonably priced. Your local league will see the results this season thanks to Work With Me. For more information or to schedule a clinic, email workwithme@osipfoundation.org. Don’t wait! Time slots are filling quickly.